With summer officially settled in (and perhaps gone) and with no abroad holidays on the horizons this year (I do have a wedding to save for after all) I had not the greatest chance of getting a tan, plus with my Irish-descent milk bottle pins, laying out in the sun, waiting for the sun to hit is not the best idea, so over the years I've established ways in which I can fake it and not bake it! In a bid to help all ladies in the same position as me, at work I did a column giving my 5 tips to fake tan as part of our summer kick off. One of the things I always stress with tanning is you need a good base; otherwise you could end up with streaky, patchy, dry and frankly unattractive tanned badly skin! With this in mind I went in seach of a scrub that would do the job, yet not be too harsh on my sensitive skin and a moisturiser that would mess with the tan development. I'd always known about the St Tropez range of polish and moisturiser, but being skeptical and on my wedding budget I wasn't willing to splurge. But when the local Factory shop leaflet came through the post advertising these bad boys for £3 a pop, I couldn't say no, as £6 for both is by far better than £29 I'd spend in Boots. This creamy polish was just lovely to use; it lathered well and needn't be applied liberally as it goes along way. The little scrubby beads (A technical term, obvs!) are tough enough to get the job done, without being too abrasive on sensitive skin. I've been using it to not only prep my skin for tanning, by using it to exfoliate and remove the dead skin cells, but I've also used it again around three days after tanning to aid with the gradual fading and to avoid that post-weekend night out blotchy-patchy faded look at work. Firstly I must point out, I had imagined this to smell like fake tan for some reason, but in fact, it actually has a very light fragrance to it wtih scents of coco butter and aloe vera. It's fab because even when applied liberally, it leaves no sticky residue. 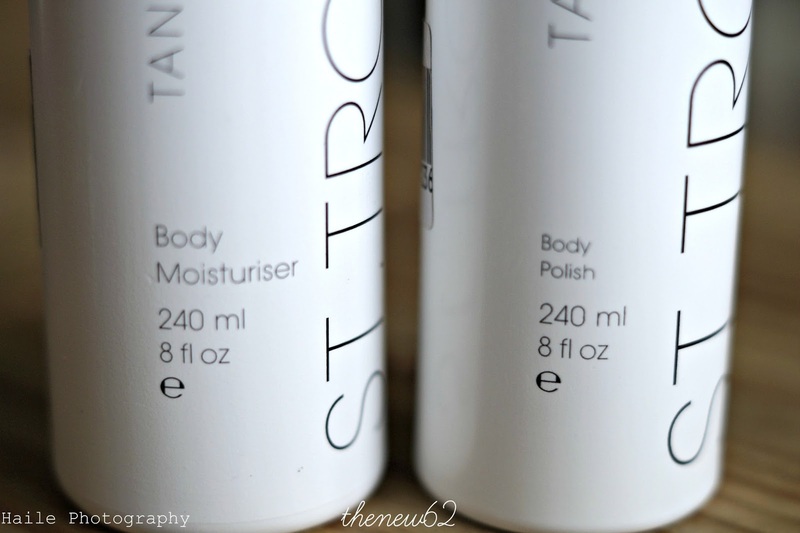 Once dry it gives a really smooth base to work with when tanning and I think it did help with even coverage. I also like to think it helped prolong my tan as it definitely lasted longer when I applied in between my tanning application. I've also read due to it's ingredients it helps prolong a natural tan, but unfortunately, I have't really had the luxury this year. I really enjoyed using this and it left my skin super soft and my tan has definitely glowed. But I'm not sure I'll repurchase to use everyday due to the RRP, but I may get it to aid with my night out prep! 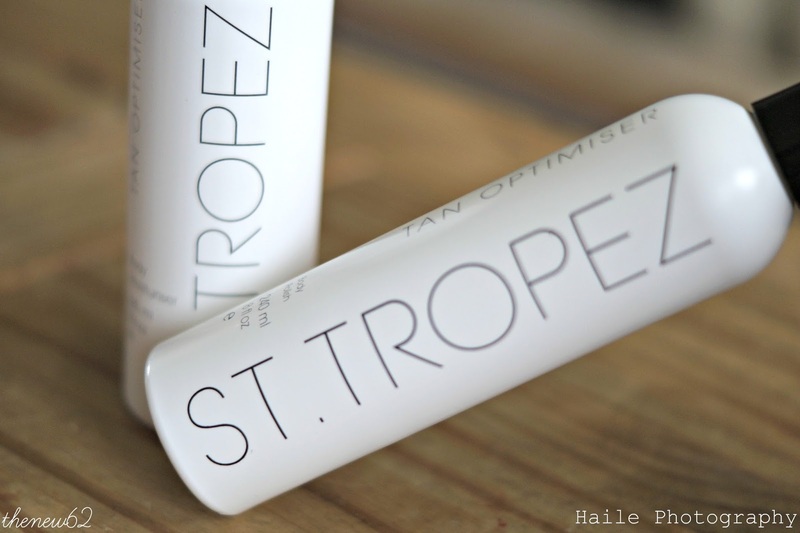 So that's my views on the St Tropez tan optimising polish and moisturiser and overall, I'm pretty pleased. I've also learnt the lesson never to imiditatly throw away those pesky leaflets that come through my door, as they may hold the success to a few thrifty buys! Have you tried these products? If so, I'd love to know your thoughts, comment below and if you've reviewed them, leave a link! Is it all about that Squinch?